The poly coated, 200 gn, .45 Colt bullets are great. Very easy for reloading. Looking forward to shooting Cowboy action with them this '19 season. Another terrific BB item. These bullets seem to work fine with the Black MZ substitute I use. Going to try with Real Black soon. 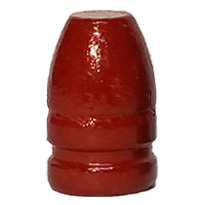 I use a lubed 45 wad for filler and it seems to keep my rifle lubed enough that I don't have to swab it every 20 rounds or so when I use lead bullets without the lubed wads. The only concern I might have with real black and polymer bullets is if the polymer will melt with the heat of real black. We shall see. Your product is the best I have used in over 40 years of loading. I really love the poly coated because I only shoot lead bullets. Badman polymer coated bullets can't be beat for the serious cowboy shooter. They not only shoot great but also go a long way in keeping your guns and reloading equipment clean. Badman Bullets are the best lead bullet money can buy. Customer service has always been first class. Fast shipping and great communication. Top shelf company and product. The polymer coated bullets are great! I shoot about 500 rounds a month and I will be a regular user from now on. Keep up the quality work! 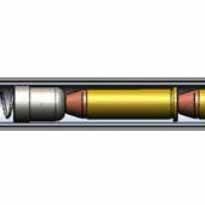 These bullets are a vast improvement over the traditional lubricated lead bullet. 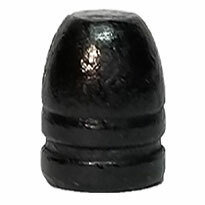 For one thing, you don't have to worry about lube ever clogging up your seating and crimping die as sometimes happens when you're loading a couple of hundred bullets at one setting with conventional lead bullets and these bullets are just so much nicer to handle -- no mess! Consistent and high quality. Only bullets I buy.